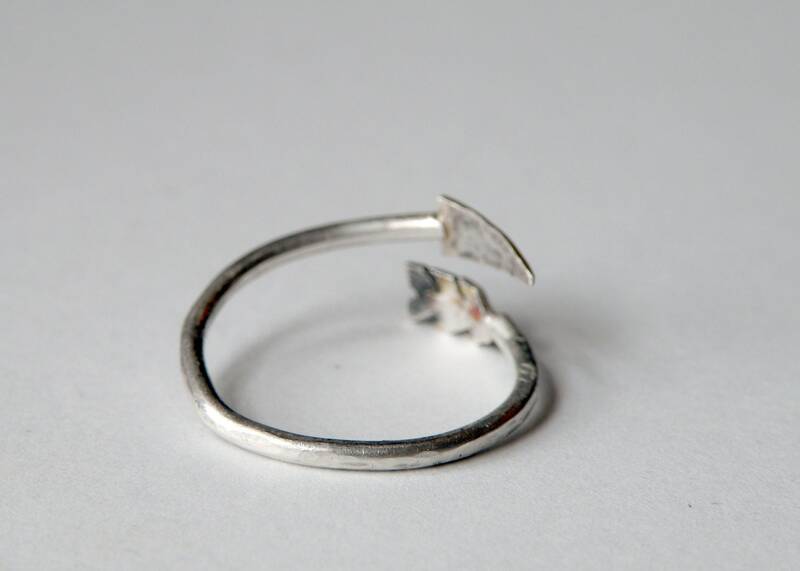 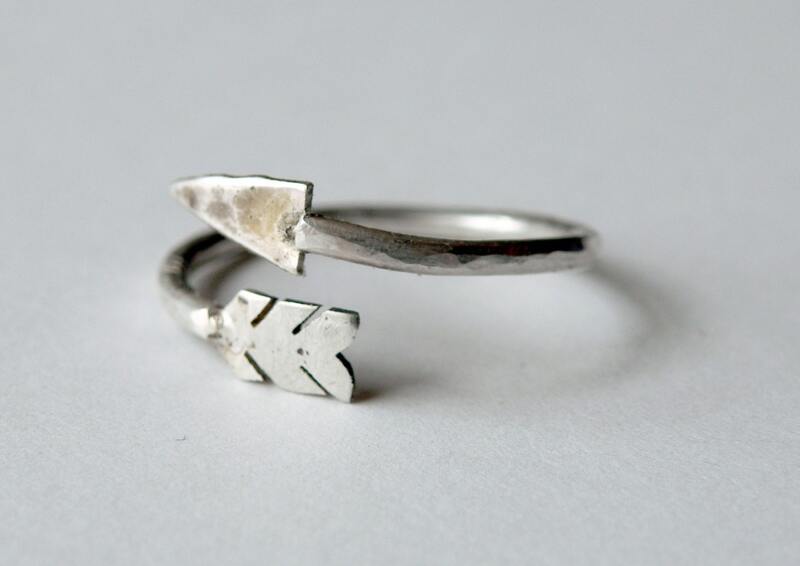 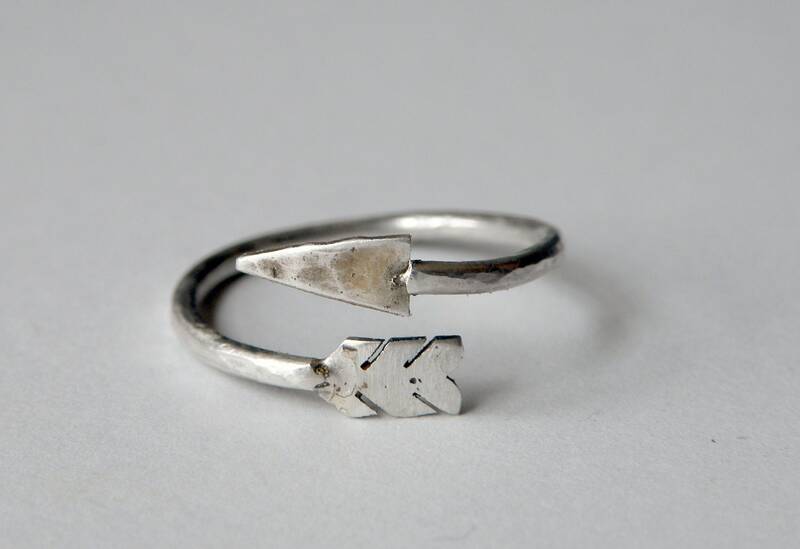 I carefully hand cut, file, and solder solid sterling silver to form an arrow shaped ring. 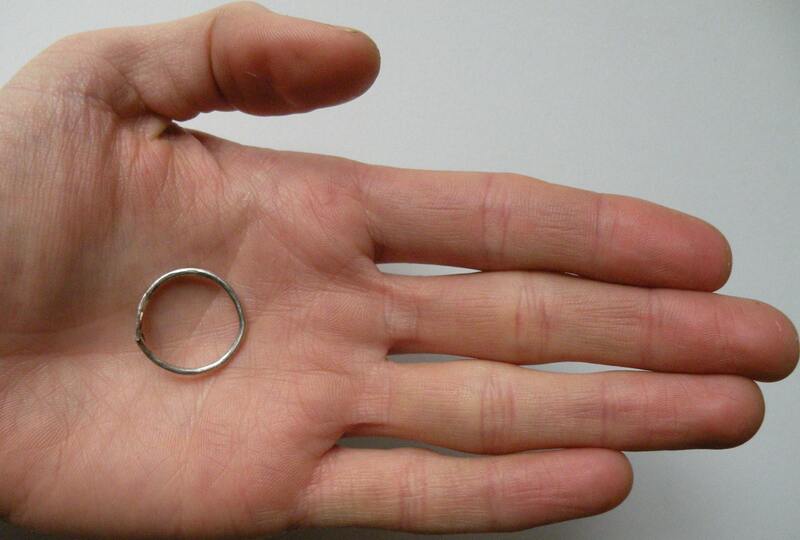 Because this is not a closed circle, it has some slight flex which helps accommodate any ring size. 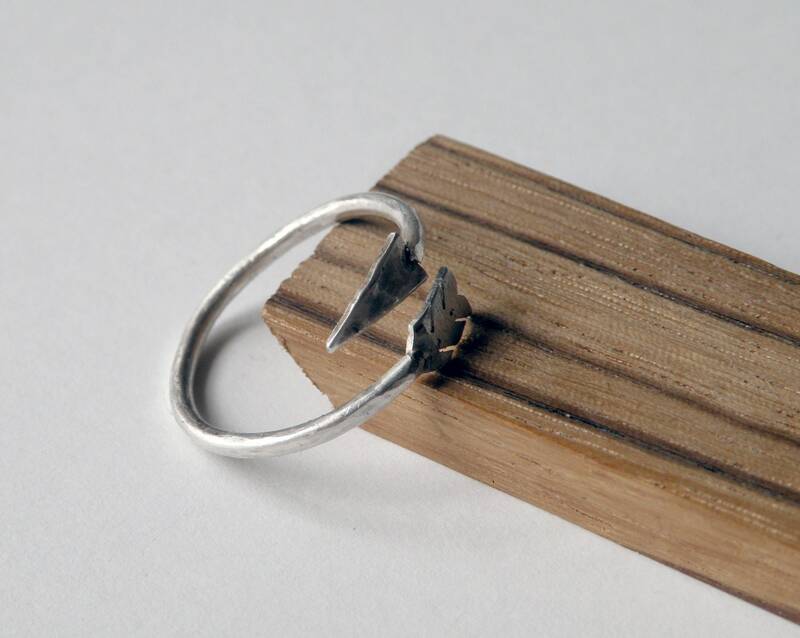 It looks great stacked with other rings.